An acrylic rack for staging and showing reef frags. Holds plugs with crowns up to 1.5" and stems up to 1". 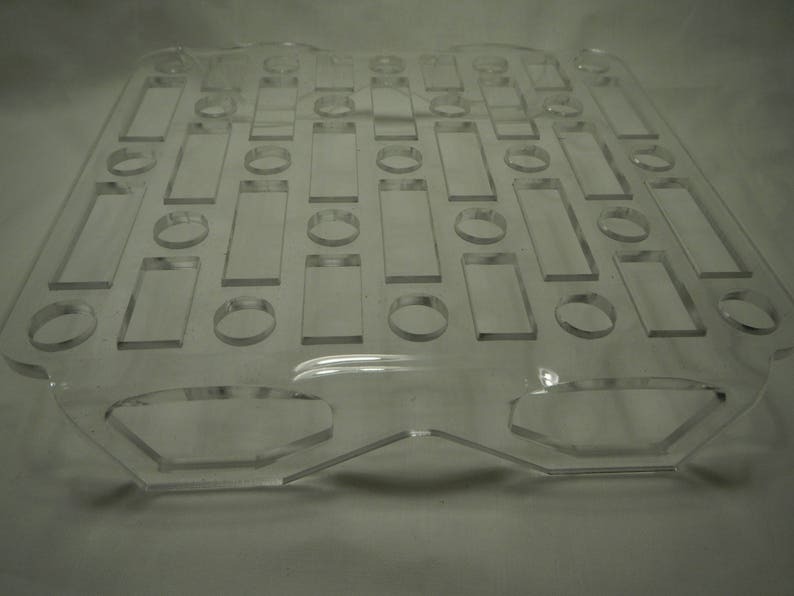 Made from 3/16" acrylic and designed to allow water to flow thru and around the rack. Measures 8"x 7.5" x 1.5" tall. Note: Reef plugs in photos are for reference only and not included.